I love “treasure-hunting” for shells. That’s what it feels like to me. With every wave, I get excited wondering what I’ll find. I always hope for the unique. Sometimes that happens. Sometimes not. But it’s the thrill of the hunt not what I find. As you know we’ve been on vacation. Today we went to our favorite beach. The locals told us about it the first time we came here. It has great shells. A couple of years ago, we collected bags of HUGE shells of all types. However, that particular spot on the beach is about three miles down from where we get on the beach and it’s the only way entrance. Because of my feet issues, it’s just not possible unless I were to wear my athletic shoes. Not so sure that would be very comfortable. Certainly I couldn’t walk on the soft sand which would mean I would have to walk in the water. With my new expensive insoles, I’m not so sure about that. However, I still found some interesting shells. I even got brave enough to wade out between wave swells to retrieve a particularly nice conch shell. I’m afraid of large bodies of waters. I can’t swim and I have a healthy respect for rip tides which are prevalent in this particular body of water. Plus, I have seen some huge jelly fish. Having been stung by one a few years ago, I also have a healthy respect for them as well. Believe it or not their “reach” is much longer than one would think. You need to give them plenty of room. As I watched the tide cough up its shells, some remained intact while others broke up. What makes some shells so resilient and some so fragile? Interestingly enough, the larger shells are the ones that break up the most. on whether I’m on vacation or not. If I were to decide today, it would be that I’m like one of those intact shells. But then I’m on vacation, aren’t I? I’m not responsible for anyone else. When I get home, that will change. Ask me in about a month, how I’m doing. It might be different. But then that’s it, isn’t it? That’s life. Sometimes we get a reprieve (like a vacation) and we become strong once again. Strong enough that when we step back into the “tide” we don’t break as easily. 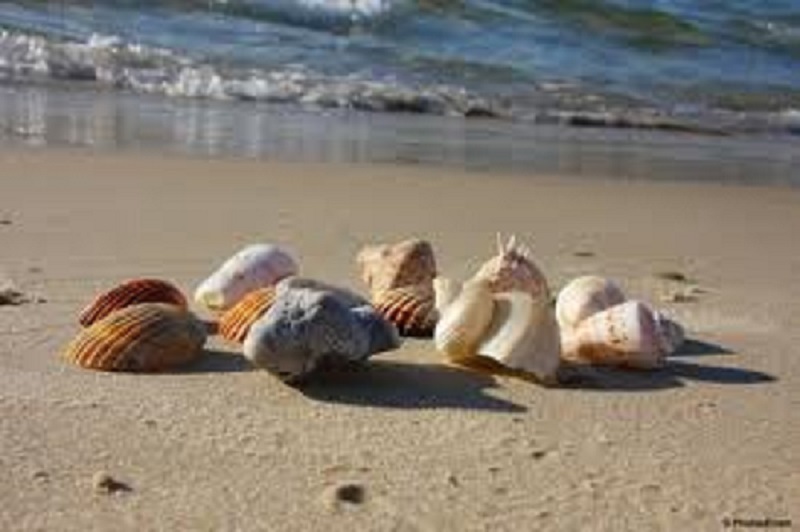 Besides, it takes all kinds of shells, whole and broken, to make a beach beautiful.